Here’s a bit of history from another America: the Bill of Rights was designed to protect the people from their government. If the First Amendment’s right to speak out publicly was the people’s wall of security, then the Fourth Amendment’s right to privacy was its buttress. It was once thought that the government should neither be able to stop citizens from speaking nor peer into their lives. Think of that as the essence of the Constitutional era that ended when those towers came down on September 11, 2001. Consider how privacy worked before 9/11 and how it works now in Post-Constitutional America. Begin at America’s borders. Most people believe they are “in” the United States as soon as they step off an international flight and are thus fully covered by the Bill of Rights. The truth has, in the twenty-first century, become infinitely more complicated as long-standing practices are manipulated to serve the expanding desires of the national security state. The mining of words and concepts for new, darker meanings is a hallmark of how things work in Post-Constitutional America. Those modest exceptions were all part of constitutional America. Today, once reasonable searches at the border have morphed into a vast “Constitution-free zone.” The “border” is now a strip of land circling the country and extending 100 miles inland that includes two-thirds of the U.S. population. In this vast region, Customs and Border Protection (CBP) can set up checkpoints and conduct warrantless searches. At airports, American citizens are now similarly subjected to search and seizure as filmmaker Laura Poitras — whose work focuses on national security issues in general and Edward Snowden in the particular — knows firsthand. Since 2006, almost every time Poitras has returned to the U.S., her plane has been met by government agents and her laptop and phone examined. Here’s another example of how definitions have been readjusted to serve the national security state’s overriding needs: the Department of Justice (DOJ) created a Post-Constitutional interpretation of the Fourth Amendment that allows it to access millions of records of Americans using only subpoenas, not search warrants. The Department of Justice now claims that, under the Fourth Amendment, it can simply subpoena an Internet company like Facebook and demand that they look for and turn over all the records they have on our Mr. Anderson. Their explanation: the DOJ isn’t doing the searching, just demanding that another organization do it. As far as its lawyers are concerned, in such a situation, no warrant is needed. In addition, the Department of Justice believes it has the authority to subpoena multiple records, maybe even all the records Facebook has. Records on you? Some group of people including you? Everyone? We don’t know, as sources of data like Facebook and Google are prohibited from disclosing much about the information they hand over to the NSA or other government outfits about you. How far can the use of a subpoena go in bypassing the Fourth Amendment? Recently, the inspector general of the Department of Veterans Affairs (VA) issued a subpoena — no court involved — demanding that the Project On Government Oversight (POGO) turn over all information it has collected relating to abuses and mismanagement at VA medical facilities. POGO is a private, non-profit group, dedicated to assisting whistleblowers. The VA subpoena demands access to records sent via an encrypted website to POGO under a promise of anonymity, many from current or former VA employees. Some observers suggest that there is little new here. For example, the compiling of information on innocent Americans by J. Edgar Hoover’s low-tech FBI back in the 1960s has been well documented. Paper reports on activities, recordings of conversations, and photos of meetings and trysts, all secretly obtained, exposed the lives of civil rights leaders, popular musicians, and antiwar protesters. From 1956 to at least 1971, the government also wiretapped the calls and conversations of Americans under the Bureau’s counterintelligence program (COINTELPRO). To avoid such encroaching digitization would essentially mean withdrawing from society, not exactly an option for most Americans. More of life is now online — from banking to travel to social media. Where the NSA was once limited to traditional notions of communication — the written and spoken word — new possibilities for following you and intruding on your life in myriad ways are being created. The agency can, for instance, now collect images, photos, and video, and subject them to facial recognition technology that can increasingly put a name to a face. Such technology, employed today at casinos as well as in the secret world of the national security state, can pick out a face in a crowd and identify it, taking into account age, changes in facial hair, new glasses, hats, and the like. An offshoot of facial recognition is the broader category of biometrics, the use of physical and biological traits unique to a person for identification. These can be anything from ordinary fingerprinting to cutting-edge DNA records and iris scans. (Biometrics is already big business and even has its own trade association in Washington.) One of the world’s largest known collections of biometric data is held by the Department of State. As of December 2009, its Consular Consolidated Database (CCD) contained more than 75 million photographs of Americans and foreigners and is growing at a rate of approximately 35,000 records per day. CCD also collects and stores indefinitely the fingerprints of all foreigners issued visas. Once you have the whole haystack, there’s still the problem of how to locate the needle. For this, emerging technologies grow ever more capable of analyzing Big Data. Some simple ones are even available to the public, like IBM’s Non-Obvious Relationship Awareness software (NORA). It can, for example, scan multiple databases, geolocation information, and social media friend lists and recognize relationships that may not be obvious at first glance. The software is fast and requires no human intervention. It runs 24/7/365/Forever. Tools like NORA and its more sophisticated classified cousins are NSA’s solution to one of the last hurdles to knowing nearly everything: the need for human analysts to “connect the dots.” Skilled analysts take time to train, are prone to human error, and — given the quickly expanding supply of data — will always be in demand. Automated analysis also offers the NSA other advantages. Software doesn’t have a conscience and it can’t blow the whistle. 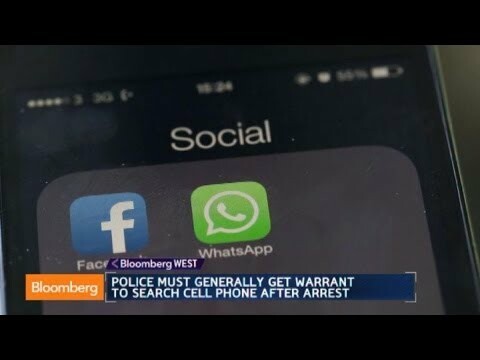 Prior to the cell phone decision, law enforcement held that if someone was arrested for, say, a traffic violation, the police had the right to examine the full contents of his or her cell phone — call lists, photos, social media, contacts, whatever was on the device. Police traditionally have been able to search physical objects they find on an arrestee without a warrant on the grounds that such searches are for the protection of the officers. In its new decision, however, the court acknowledged that cell phones represent far more than a “physical object.” The information they hold is a portrait of someone’s life like what’s in a closet at home or on a computer sitting on your desk. 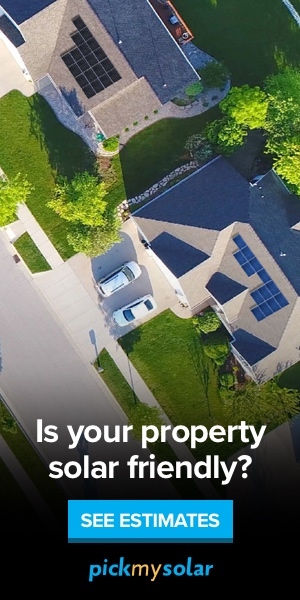 Searches of those locations almost always require a warrant. Does this matter when talking about the NSA’s technological dragnet? Maybe. While the Supreme Court’s decision applies directly to street-level law enforcement, it does suggest an evolution within the court, a recognition of the way advances in technology have changed the Fourth Amendment. A cell phone is not an object anymore; it is now recognized as a portal to other information that a person has gathered in one place for convenience with, as of this decision, a reasonable expectation of privacy. Congress passed the Health Information Portability and Accountability Act (HIPPA) in 1996 “to assure that individuals’ health information is properly protected.” You likely signed a HIPPA agreement at your doctor’s office, granting access to your records. However, Congress quietly amended the HIPPA Act in 2002 to permit disclosure of those records for national security purposes. Specifically, the new version of this “privacy law” states: “We may also disclose your PHI [Personal Health Information] to authorized federal officials as necessary for national security and intelligence activities.” The text is embedded deep in your health care provider’s documentation. Look for it. The Snowden revelations are often dismissed by people who wonder what they have to hide. (Who cares if the NSA sees my cute cat videos?) That’s why health-care spying stands out. How much more invasive could it be than for your government to have unfettered access to such a potentially personal and private part of your life — something, by the way, that couldn’t have less to do with American “security” or combating terrorism. Our health-care providers, in direct confrontation with the Fourth Amendment, are now part of the metastasizing national security state. You’re right to be afraid, but for goodness sake, don’t discuss your fears with your doctor. At this point, when it comes to national security matters, the Fourth Amendment has by any practical definition been done away with as a part of Post-Constitutional America. Whole books have been written just about Edward Snowden and more information about government spying regularly becomes available. We don’t lack for examples. Yet as the obviousness of what is being done becomes impossible to ignore and reassurances offered up by the president and others are shown to be lies, the government continues to spin the debate into false discussions about how to “balance” freedom versus security, to raise the specter of another 9/11 if spying is curtailed, and to fall back on that go-to “nothing to hide, nothing to fear” line. Americans are told (and often believe) that they retain rights they no longer have. Wait for the rhetoric that goes with the celebrations of our freedoms this July 4th. You won’t hear a lot about the NSA then, but you should. In pre-constitutional America the colonists knew that they were under the king’s thumb. In totalitarian states of the last century like the Soviet Union, people dealt with their lack of rights and privacy with grim humor and subtle protest. However, in America, ever exceptional, citizens passively watch their rights disappear in the service of dark ends, largely without protest and often while still celebrating a land that no longer exists.